Wishing you all a joyful festive season and many happy hours of reading in 2015. The Stromness Library is now closed for the holidays but will re-open on 5th January 2015 at 2pm. Just to clarify that we are still in the old library at Hellihole Road for the moment and will give you plenty of warning when we know the date of our move to the new library building at the Pier head. In our final question of our Advent Quiz we want to take you back to a time before even this library was built and let you see how the view up Hellihole Road looked then. In the photo the two children are standing where the library is now, and the camera is looking up Hellihole Road. The building furthest away with its gable end facing us is no longer standing, having been demolished in 1937, but can you tell us what it was? So ends our Advent Quiz for 2014, we hope you've enjoyed it as much as we have. Don't forget to go back and work on any of the questions you might have missed, there is a fabulous prize for the person with the most correct answers. You have until 31st December to submit your answers as comments below each day's post. The answers will be published, and the winner announced on 5th January 2015. Which old Stromness custom, which came to an end in 1936, used to take place in the town on Christmas Eve? Post your answer as a comment below. Entries close on 31st December. Answers will be published and the winner announced on 5th January 2015. Answer: The Yule Tree, which was fought over between Northenders and Southenders in a tug-of-war. George Mackay Brown wrote 'Per Mare:The Stromness Pagent' from which the following is an extract. But can you tell us in which year it was performed? Tall houses, with gardens and piers,Where the stylish merchants lived, Small slipways for the fishermen, A new kirk, inns and ale-houses,The street uncoiled like a sailor's rope from north to south.And closes swarmed up the side of the hillAmong gardens and clouds, And closes stepped down to the harbourAnd the nets and whitemaas. 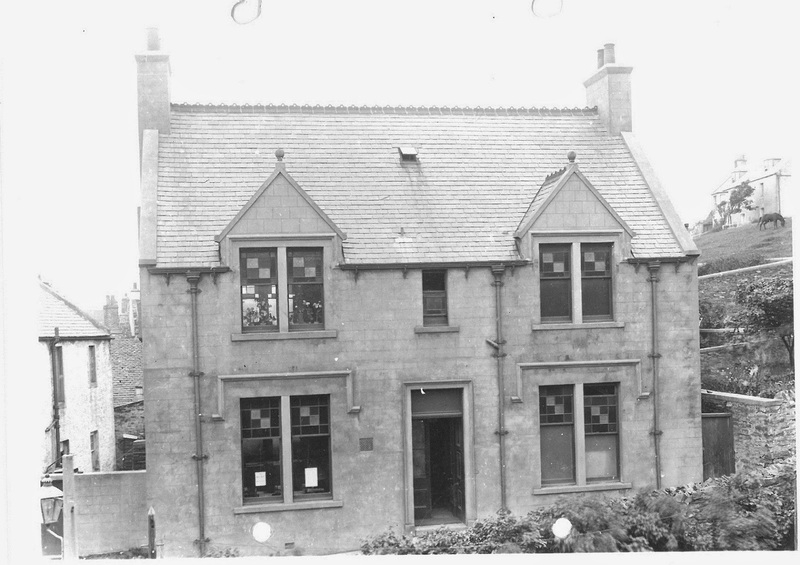 While Stromness Public Library has been in Hellihole road for 108 years the Orkney Library has been on the go a peedie bit longer - can you tell us the year it was founded? What is the name of the knitting group that meets in Stromness Library on alternate Monday's from 5-7pm? Can you tell us the title of the novel by Fiona McInnes published in 2014, which is set in Stromness? Post your answer in the comments below. Closing date for entries is 31st December. Answers will be posted and the winner announced on 5th January 2015. How many books can an adult member of Stromness Library borrow at one time? Who was the last writer in residence for George Mackay Brown Fellowship, who was based at Stromness Library? 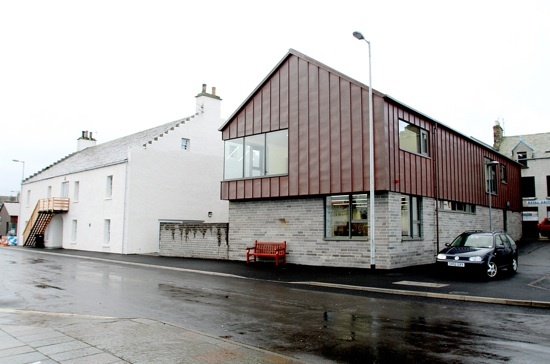 Can you name the architect of the new Stromness Library building? Stromnessians, it seems, are not making full use of their Library. The number of borrowers is only about half of Kirkwall's. It is not that the folk in the west are more uncultured than their fellow-Orcadians; but perhaps over the decades they have fallen out of the habit of reading. Can you prove GMB wrong by naming the book in which this was published in 1975? Don't forget there is a fabulous prize for the most correct answers. If you're stuck on any of the questions then a trip to the library, a look back through this blog and a visit to the Orkney Library and Archive website may help! The Stromness Library Reading Group meets on the last Wednesday of the month from 7-8pm in the exhibition room. This month we meet on 17th December to discuss The Pursuit of Love by Nancy Mitford. But which month and year did the group first meet? Closing date for entries is 31st December so you still have lots of time to go back and catch up with any questions you might have missed. 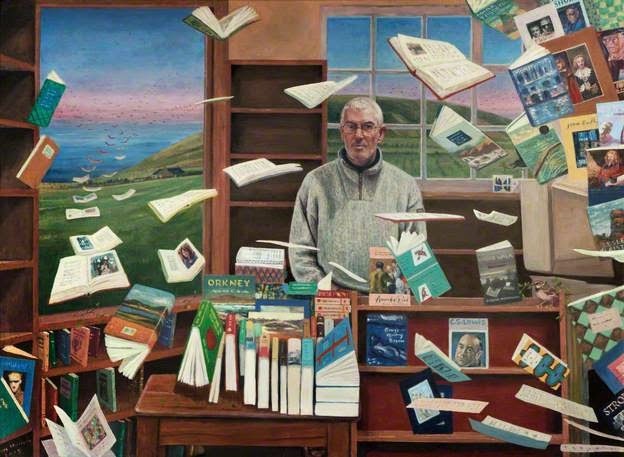 Can you name the artist who painted this portrait of George Mackay Brown which hangs in the Stromness Library? Closing date for entries 31st December. Don't forget there is a fabulous prize! Can you name the collection of Orkney books bequeathed to Stromness Library in 1928? Although now stored in the Orkney Archive, the Stromness Library for many years had an original 1725 copy of - An account of the conduct and proceedings of the late John Gow alias Smith, Captain of the late pirates, executed for murther & piracy committed on board the George gally, afterwards call'd the Revenge; with a relation of all the horrid murthers they committed in cold blood; as also of their being taken at the Islands of Orkney, and sent up prisoners to London. Can you name the author? Closing date for entries is 31st December, so don't forget to go back and answer any days you may have missed. If you are stuck then a look back throught the blog and/or a trip to the library will help! The picture above, from the Robertson collection in Orkney archive, is on display in Stromness Library. 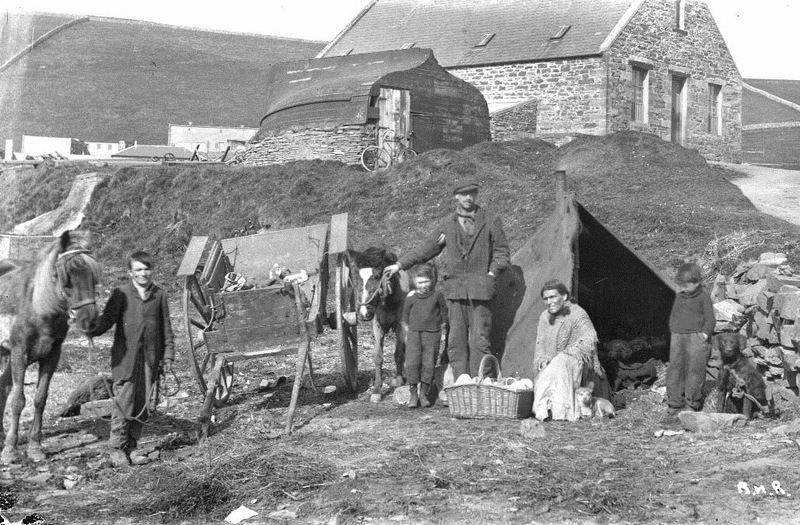 It shows a tinker family camping in Stromness, but can you identify where in Stromness this is? Answer: The stone building at the rear of the picture is the old slaughter house, and the area pictured is now the site of the new Stromness Primary School. 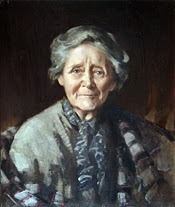 Can you name the Orcadian artist who painted the 'Portrait of an Old Woman' which hangs in the Stromness Library? The answers will be published, and the winner announced, on 5th January 2015. In 1992 the book Sea Haven: Stromness in the Orkney Islands was published. Can you tell us the name of the photographer, the author of the text, and who wrote the foreword? Please post your answer as a comment. Closing date for entries is 31 December 2014. Answers will be published, and the winner announced, on 5 January 2015. 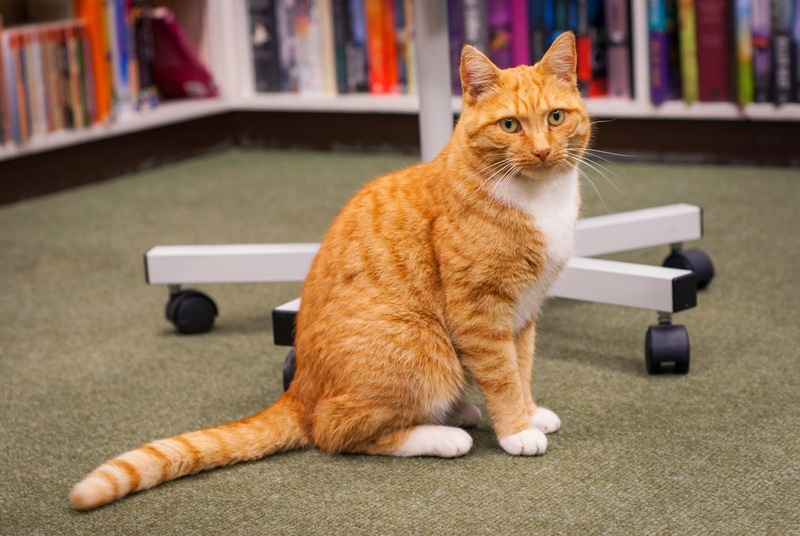 Can you name each of these cats who were once library regulars? Please post your answers as a comment below. "It is time for you to send the book back; if you liked it, you must have had enough of it by now; if you dislike it, more than enough." 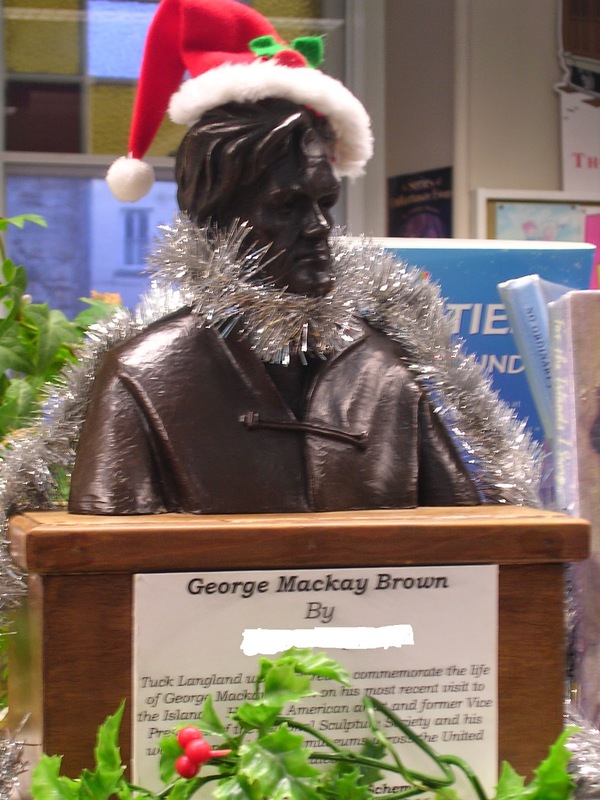 Today we are getting the Christmas Tree and decorations out, which means that George Mackay Brown will be getting in the festive spirit by donning his Santa hat and tinsel. But can you name the sculptor who created this bronze bust of the poet? Post your answer in the comments below, and if you are only just joining in then don't forget to go back and catch up with the previous questions. Closing date for entries is 31st December and there will be a fabulous prize for the most correct answers. Who made the bequest to the people of Stromness which paid for the building of the Stromness Public Library in Hellihole Road? Closing date is 31 December 2014. This painting of Tam McPhail by Calum Morrison hangs in the children's section of the library. But can you tell us the title of the painting? "The Death of ? ? Tailor, Town Librarian, Free Kirk Elder"
Can you name the Stromness Librarian whose name is missing from the title of the George Mackay Brown poem above? Don't forget to post your answer as a comment below. 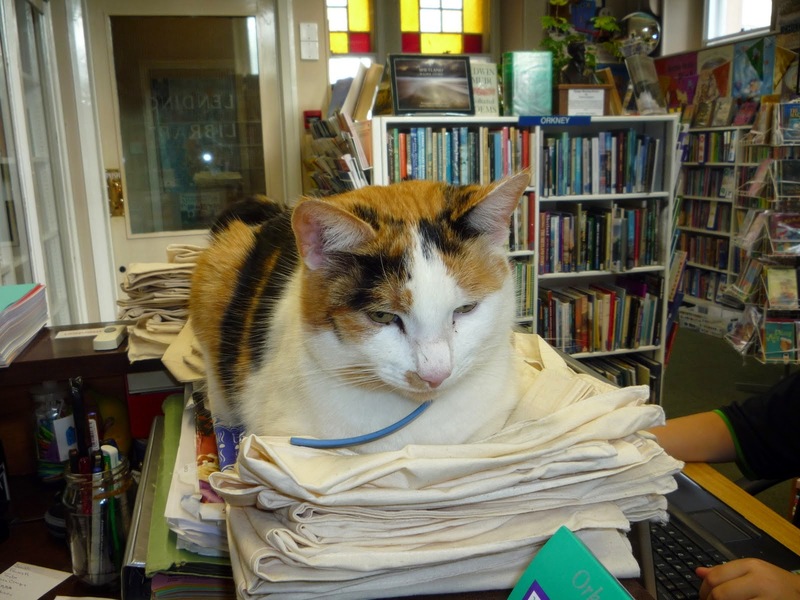 Day two of our Stromness Library advent quiz. Post your answer in the comments and you could win a fabulous prize! Competition closes on 31st December, answers and winner will be published on 5th January 2015. 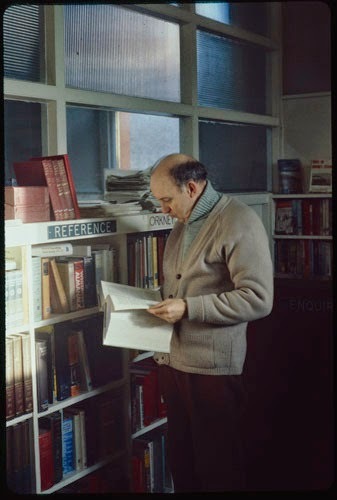 Can you identify this former Stromness Librarian, photographed by Gunnie Moberg? Can you believe it's that time of year again? As we count down the days until 25th December we are also reflecting on the fact that this will be our final Christmas in the old Stromness Library building. As a result this year's advent quiz will celebrate all things Stromness Library related, and if you are having trouble with any of the answers then a visit to the library will help. Our exhibition about the history of the library will run all throughout December. You can enter by commenting on each day's post (comments will not be published until after the competition ends), closing date for entries is 31st December. Answers will be published, and the winner announced, when the library re-opens after the holidays, on Monday 5th January 2015. There will, of course, be a fabulous prize for the person who gets the most correct answers. In which month and year did the Stromness Public Lending Library open in Hellihole Road?